2D side-scrolling action game from the creator of Cave Story. 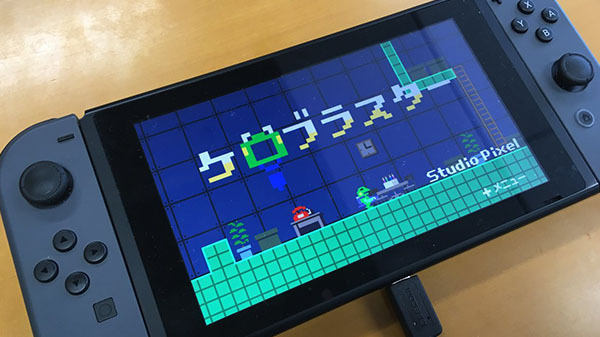 The Switch version of Kero Blaster will be released via the Nintendo eShop this summer, developer Studio Pixel announced. Studio Pixel is proud to present the latest title from the creator of Cave Story: Kero Blaster. The C&F Inc. teleporters are going offline all over the place, and it’s up to an intrepid frog employee to fix the situation. A classic-style, 2D side-scrolling action game packed with adventure. You are a bipedal frog and master of the Custodial Sciences, charged with the unenviable task of ridding your company’s teleporters of the strange black creatures plaguing them. Pick up all kinds of exciting new tools of the trade while fighting for your life through a menagerie of unique monsters.